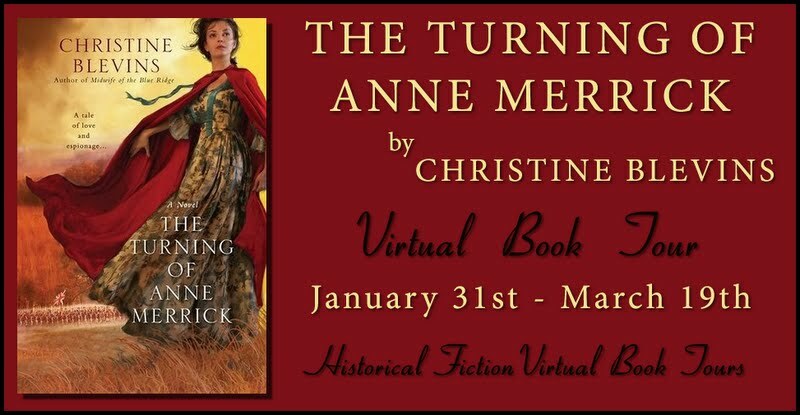 Christine Blevins’ latest novel The Turning of Anne Merrick is the second in a 3-book series set during the American Revolution and War of Independence. The history we learn in school and what is most often portrayed in popular media is almost always focused on the courage and dedication of men. Women’s stories are often lost or overlooked, and in this regard, the history of the American Revolution is no exception. 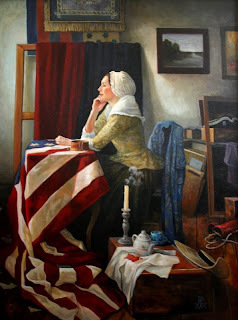 Some will say, “Aw come on, Christine… what about Betsy Ross, or Martha Washington… or Abigail Adams…” and then the argument usually peters off right there. Most of us can name too few examples of women who played any role in the event considered to be one of the biggest turning points in world history. Some women tried to engage in a more active role than those permitted. 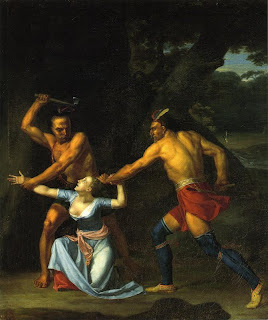 Deborah Samson was exposed – and is thus remembered in the record – as a woman who disguised herself as a man in order to enlist and fight as a soldier in the Continental Army. Both Loyalist and Patriot women risked having their necks stretched for treason by gathering intelligence on the enemy. The mysterious agent known only as “355” was a female member of Washington’s Culpur Ring of spies who goes down in history with her name and fate never revealed. Anne Bates was one of the Britain’s most successful she-spies, infiltrating the Continental Army as a peddler woman she gave accurate report on rebel troop numbers, movements, and munitions. 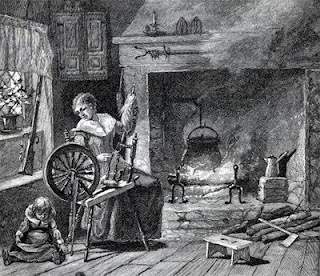 Lydia Darragh was a Quaker housewife who eavesdropped on the British Command quartered in her home and smuggled the information thus gathered to General Washington at Valley Forge. We are very pleased to offer an International giveaway as part of the blog tour. To win, leave a comment telling us which historical figure you would write to if you could! Also, please leave an email address so that we can contact you if you win! Giveaway closes on 12 February 2012. Don't forget to stop by on Friday when I will be posting my review of The Turning of Anne Merrick. 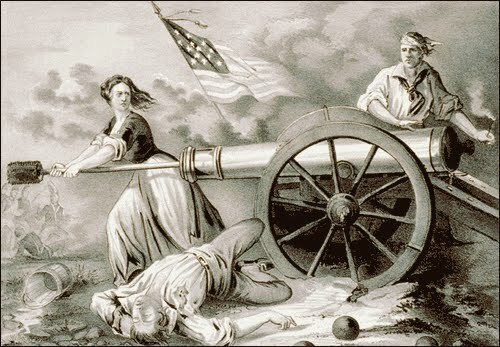 Of the historical figures mentioned in the above post, I would most want to write to Molly Pitcher (as I like to believe she actually took on the part of her husband when he fell, maybe in anger and grief, and maybe in patriotism). I would want to ask her how she didn't just crumble to the ground with her husband, as I think I would have, and tell her how amazing she was for being so strong! Cleopatra (although I know it's been done to death) she has always fascinated me. Thanks for the giveaway! Wonderful guest post. I love reading about the women in early American history. They had to be super brave even though we are not supposed to remember that. I would write to Amelia Earhart, to find out what really happened to her in 1937. To put at rest a memory of a amazing woman in history. That paved the way for all women today. She is a hero! ANY historical figure? If it's any I would so want to write to Michelangelo. He fascinates me. He was so talented. He thought he wasn't a painter. He was so misunderstood in his time. He was a genius. Queen Elizabeth I or Eleanor Roosevelt, such strong women. Thank you for the opportunity, and the information. I love reading about American history, I'm a great admirer (in many ways) of Thomas Jefferson. I would love to be able to correspond with his daughter, and get her perspective re. the Hemmings connection. Thanks for the giveaway. I've read Ms. Blevins' earlier two novels and this one is on my wish list. I would write to Clara Barton to see what it was like serving during the Civil War and trying to win support afterwards for the Red Cross. I read The Turning of Anne Merrick for the tour and really, really liked it! I am going to go back and read The Tory Widow as soon as I can because I miss the characters! If I could write to any female in history it would be to Lady Jane Grey. Her story is so sad to me and I would love to get a letter to her warning her of what was to come :). Maybe she could have escaped and lived another life, you never know! 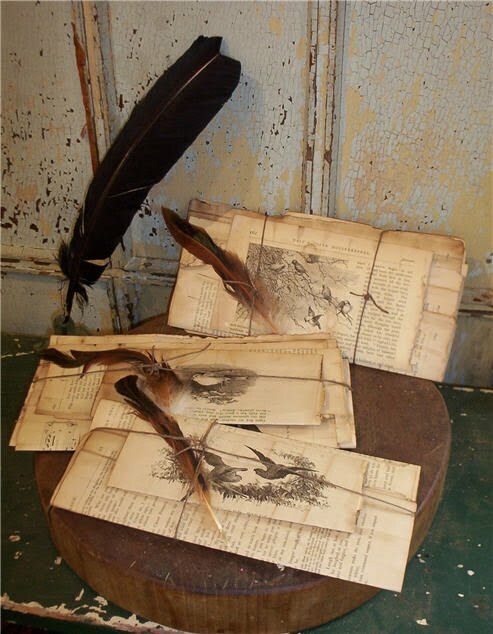 That was a fabulous guest post, thanks to Christine! And thanks to the lovely ladies at Historical Tapestry for hosting the tour and giveaway. Good luck to all who enter, the comments are great. I would write about the antique queen Olympia, the mother of Alexander the III Macedonian. Her reign is surrounded with deep mists, mysteries and puzzles. I would have two people I would love to write to. The first is Laura Ingalls Wilder as she has been a idol of mine for a long time, I think she was a great woman. I would also like to write to Abagail Adams. I think she was a very strong woman and stood behind her husband in good and bad. You also don't hear much about her and I would love to know her better. I would write to Anne Bolryn. Dorothea Dix - a woman who was not afraid to effect reform - especially for the mentally ill. I believe she was very brave and compassionate as well as very forward looking. Thank you for the chance to obtain this book - sounds so very interesting! I had not ever really considered the part of women in war, and the points that you make in this interview are both intriguing and eye-opening. War is usually considered the arena for men, but your reflections on what it must have been like for women really makes me thoughtful. Thanks for the wonderfully penned interview today. It was much appreciated. I would love to write to Catherine of Aragon. I would tell her that her struggles were not in vain, and that her reputation as a steadfast and loyal woman did not get buried in the sands of history. I would tell her that she was loved by so many, despite the fact that Henry wanted to do away with her. This was a wonderful guest post! I really enjoyed reading the perspectives of women in the wars.I have written a couple of different research papers on women in the American Wars, one of my favs was a paper on Nursing in the Civil War.I love reading about women and their roles in society....there are so many fascinating subjects all around it's hard to narrow down which historic era is my fav for researching/studying women and society. Thank you for posting this awesome info!! Historical people and places are always so interesting to learn. I think it's even more interesting when their lives are shaped by such turbulent times as war or natural disasters. If I could write about a historical figure (so many to choose from) I choose Laura Ingall Wilder. It'll be interesting to capture her lives as she and her family settle into new land. I have this book on my wishlist. Thank you for the chance to read it. A very interesting post. It really makes you think how many great women's stories have been lost to us. If I could write to any historical character I think it would be Joan of Arc. Her story is so amazing and I'm sure we don't know the half of it. I would write to Elizabeth I...such a brave individual who faced so much...I love England and would love to see the country through her eyes. Wonderful post. Loved the Tory Widow. I'd write to Abigail Adams....a strong minded woman of her time and knowing her history, I'm sure she'd write back post-haste! I would like to write to my Brisbin ancestors who arrived on the Mayflower. I've also always admired my immigrant ancestors who braved the journey from England, Scotland, Ireland and Germany. I would love to write to my great-grandmother who was born in Texas in the 1890s, was pregnant with my grandmother when she was in a train chased by Pancho Villa and in her later years served as the U.S.' first music ambassador to the U.N. She had a love of books and learning that she passed on to her grandson (my father) and that I got from him. She died ten years before I was born and I've always wished I could have known her. Boudaica (or one of the various spellings of her name) - to defend the British Islea witha band of Celts, from the legions of Roman warriors - you can imagine the stories she could tell.